(NCAN) says Nigeria has emerged fourth largest producer of cashew in the world. The association said Nigeria produced 220,000 metric tonnes of cashew nuts out of World’s total of 2.1 million tonnes last year, adding that the country exported 120,000 metric tonnes in the year under review. Ms. Aisha Abubakar also revealed that cashew farmers in the country earned N123 billion ($402 million) from the export of cashew last year and between 2015 and 2017, earned $813.05m (N284.5bn) in foreign exchange from the exportation of cashew. Fasheru called on the Federal Government to save the industry from collapse through initiatives such as the provision of incentives to farmers to expand their trade and protection of farms against encroachment from foreigners. Lagos which affects exports and the provision of 2.6 million jute bags for bagging cashew nuts this year. The NCAN boss noted that export earnings from cashew nuts had witnessed a steady increase in the last two years, rising from $ 152, 000,000 in 2015, to $259,000,000 in 2016 and $402, 050,000 in 2017. He revealed that NCAN’s major trading partners are the Vietnam Cashew Association (Vinacas), African Cashew Alliance (ACA), USAID/NEXT, while it also collaborates with the Cashew Export Promotion Council of India (CEPCI). Fasheru commended efforts by the Federal Government towards making cashew a major revenue earner, adding that Nigerian cashew nuts are highly sought-after in the international markets. In her remarks, Ms. Abubakar expressed Federal Government’s commitment towards supporting the cashew farmers. 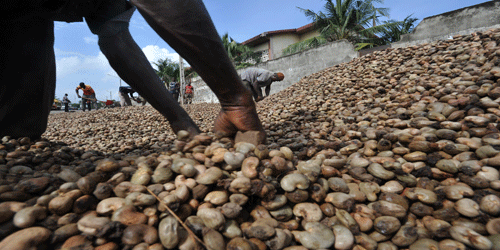 0 responses on "Nigeria Emerges World’s 4th Largest Cashew Producer, Earned N284b"